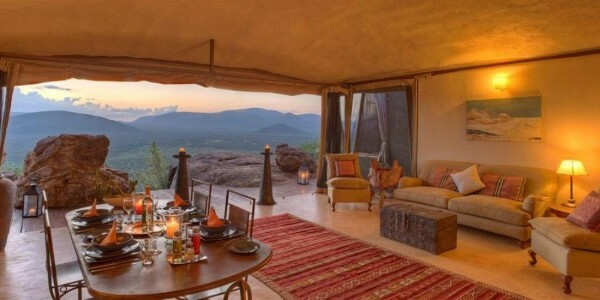 Location: Situated in a breathtaking location within the Kalama Wildlife Conservancy, adjacent to the beautiful Samburu National Reserve. Rooms: 6 spacious and attractively furnished guest villas, all with large verandahs to soak up the stunning views up to the Matthews Range to the north, as well as en suite bathroom facilities and outdoor showers looking over the conservancy. Facilities: The hilltop position of the lodge offers spectacular views from every angle, and the villas and main lodge areas have been designed to make the most of the vistas of the surrounding expansive wilderness. The two infinity pools offer a welcome place to cool off in the heat of the day, and there is also a Samburu Wellbeing Space offering relaxing spa treatments. Activities: Day & night game drives, guided bush walks with visits to local caves, picnic breakfasts by the Ewaso Nyiro River, bush dinners in a dry riverbed, star-gazing & visiting the local village. 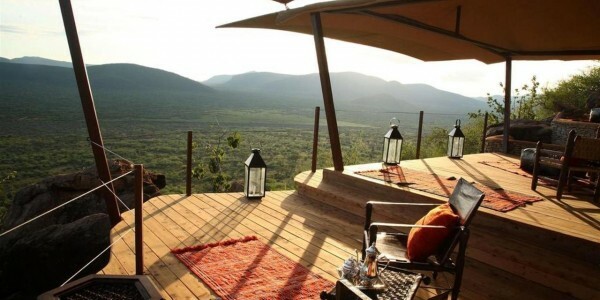 Our Opinion: Saruni Samburu offers an excellent, off the beaten track safari experience in a totally unspoilt environment. 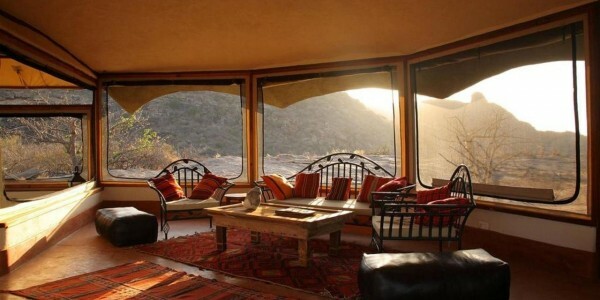 The lodge’s waterholes attract a variety of wildlife including elephant, giraffe, zebra, lion, wild dog and oryx. Some unusual variations of common species can also be found here, such as the Somali ostrich and vulturine guineafowl. The Samburu guides and trackers at Saruni Samburu are all local and have a wealth of knowledge to share with you on your safari. They are well trained, welcoming and hugely experienced at guiding in this area and you can learn about their history, traditions and culture. As well as day game drives by 4×4 vehicle, other experiences include night game drives, guided bush walks, bush meals, sundowners and stargazing. 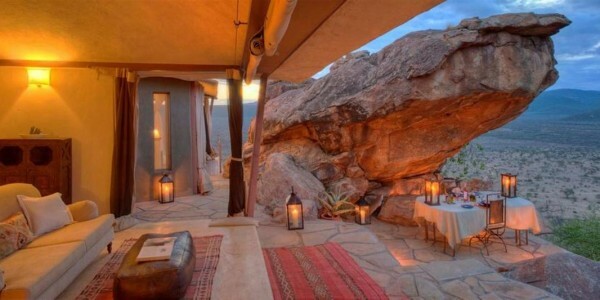 You can also explore some local caves close to the lodge in which there are prehistoric rock art paintings, and visit a local Samburu village. 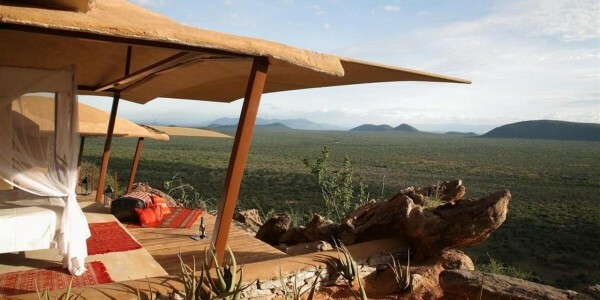 For those seeking the ultimate adventure, it is also possible to arrange helicopter excursions or trekking excursions up Mt Ololokwe, the Samburu tribe’s sacred mountain. There is also an underground photographic hide where you can enjoy a ground level viewpoint of wildlife drinking from the waterhole.